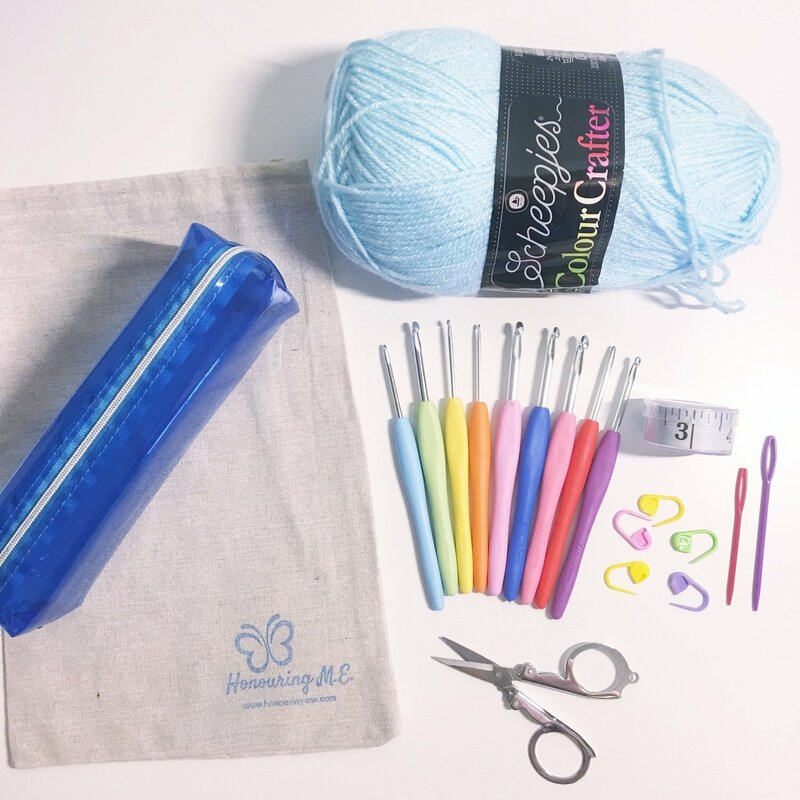 Everything you need to learn to crochet! The beginner course has four lessons with complete picture guide so you can learn from the start. Colours of the items included may vary from that pictured.